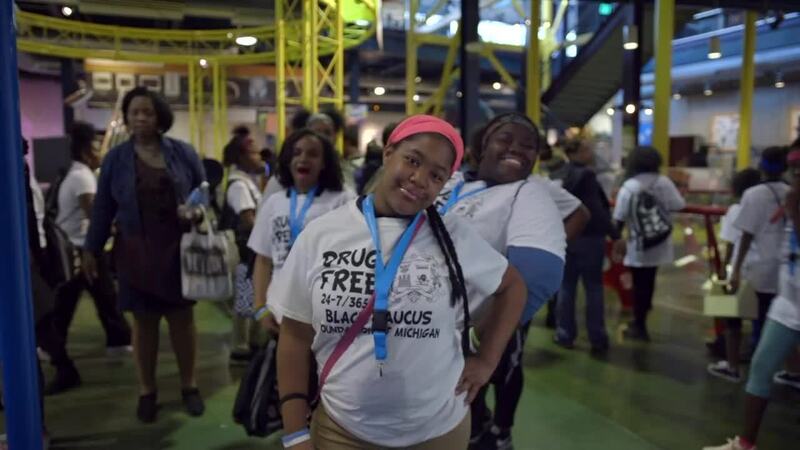 On Tuesday, May 21st at the Michigan Science Center (5020 John R St., Detroit) from 9:30 a.m. to 2:00 p.m., roughly 1,000 eager students who have taken a drug-free pledge through the Black Caucus Foundation program, from the nine participating schools, will spend the day with industry leaders being exposed to engaging construction and engineering experiences and learning what it takes to become an industry professional. Importantly, the event is managed by a diverse coalition of businesses, associations and unions and receives assistance from generous sponsors, including the Michigan Department of Transportation (MDOT), Cadillac, ASCE and MUST Careers, among many others. 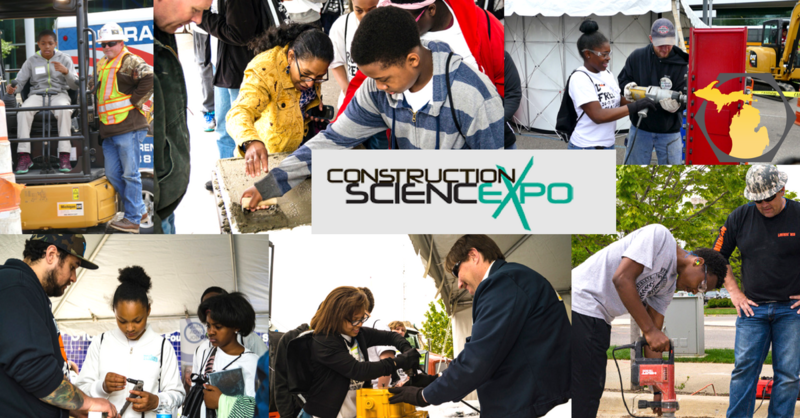 The Construction Science Expo sponsors 1,000 Detroit Public School students participating in Black Caucus Foundation programs to attend this free event which encourages youth to consider working in construction skilled trades, engineering or design after graduation. At the Expo, student groups led by employer leaders, rotate in groups through hands-on activity stations highlighting skilled trades and engineering challenges as well as an emphasis on the importance of staying drug free, non-violent and to graduate from high school. ● Operate heavy machinery like mini-excavators and a top-of-the line Spydercrane. ● Work with 12 inch trowels, grout and bricks along side bricklayers and mason apprentices. Held annually at the MI Science Center, transportation and labor skills are identified through MDOT’s Road to Work program, the latest technology and current standards are showcased by civil and design engineers and students will get to operate excavators, cranes or use heavy machinery simulators, to inspire them to plan for a future with one of the many participating employers, engineering companies, union training centers, associations and colleges that work together to create the big picture of this well-paying and high demand industry. Among the members of the coalition organizing the Construction Science Expo are multiple Michigan Construction partners. Including Michigan Infrastructure & Transportation Association (MITA), Michigan Concrete Association, Cadillac Asphalt, OE 324, the Asphalt Paving Association of Michigan, Pathway X Events and the Michigan Department of Transportation. Other sponsors include: The Black Caucus Foundation of Michigan, ACEC, AEW, ASCE, Levy Corp, LiUNA, MAA, OHM, HNTB & CBTS. Learn more about the Construction Science Expo and how your company or organization can get involved with teaching the construction workers of tomorrow! For more information, please visit www.constructionscienceexpo.com.